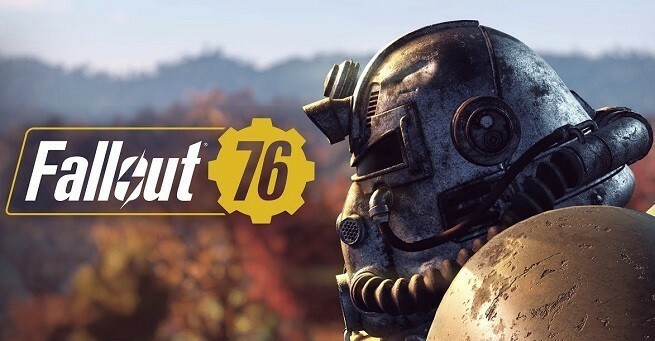 Bethesda has released Fallout 76 for Xbox One, PS4 and PC. The online prequel Fallout 76 is finally here and diehard fans of the Fallout franchise could not be happier. In Fallout 76, gamers get to explore the treacherous wasteland that lies in West Virginia full of eccentric characters and enemies. The new release features one of the most detailed and expansive open world environments in the history of the franchise. The storyline for Fallout 76 takes place in 2102 which is nearly 200 years prior to Fallout 4. The reason for this is due to Vault 76 which was created to open 20 years after the bombs destroyed everything in existence. The vault was designed to help those who survived in order for them to rebuild the world that was lost and start a new life. All of the survivors in Fallout 76 are portrayed by real players as they embark on NPC and Overseer geared quests. The replayability in Fallout 76 is off the charts and players will find themselves immersed in its innovative gameplay for hours on end. Crafting and building are huge elements in Fallout 76 and thanks to the game's C.A.M.P. system, the process has never been easier! Gamers will learn to create the needed accessories to survive rather it be shelter, supplies or objects to help keep them safe. Outside of exploring this huge open-world environment and the game's huge crafting system--there is also controlling the atom. Gamers are able to guide nuclear missiles to destroy and even create high-level areas. This allows for the harvesting of very rare and costly elements that are unveiled from the after effects of the blast. Fallout 76 has so much to do in its shared world that teaming up with a few friends can help you tackle even the most difficult of challenges. The game also features PvP, so players may need to be weary of who they trust in their adventure. There isn't a huge penalty for dying in Fallout 76, however, since gamers will be able to quickly respawn near where they died to recollect their items. Fallout 76 also features some very intriguing new soft-core survival elements adding to the gameplay's immersion and realism. The game's progression system allows players to unlock new powers and abilities as they make their way across the six distinct regions that includes towns, mountains and wetlands. The customization options are off the charts as well. Gamers will have the chance to create hundreds of different style clothing items alongside unique weapons, armor, and cosmetic objects. In the end, Fallout 76 is a fantastic journey through a beautifully designed world full of adventure. The new release features the largest open-world environment to date for the franchise and could possibly be the best release to date. Fallout 76 is available now worldwide digitally and at retail for $59.99. Fallout 76 is rated M for Mature by the ESRB. To learn more, visit the official website at www.fallout.com.